We’ve been asked again recently if there are any Black Friday and Cyber Monday Hawaii deals coming following Thanksgiving. Historically there had not been Black Friday/Cyber Monday fare sales for flights to Hawaii. Those first started just a few years ago. We’ve turned to our crystal ball, however, to see what this year’s Thanksgiving sales might yield and why. Be sure to check back on both Friday, November 23 and on Monday, November 26. Subscribe to our updates, and/or follow us on Facebook. Black Friday/Cyber Monday Hawaii deals first appeared in 2014. Since then, these Hawaii deals have expanded to include fare sales on most of their Hawaii routes. 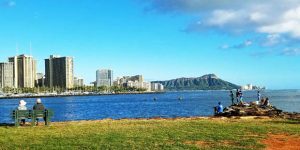 Black Friday/Cyber Monday Hawaii deals have come from a plethora of hotel and Hawaii vacation rental companies. We expect to see a wide range of Black Friday/Cyber Monday Hawaii deals next week. Those will likely come from our primary carriers Alaska Airlines and Hawaiian Airlines. 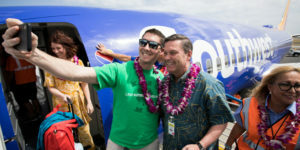 And don’t rule out sales from other Hawaii deal makers Delta Airlines and United Airlines. There may be airline discount codes to use too. 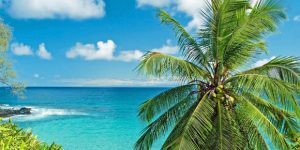 These Hawaii travel deals should be great and we plan to be out there shopping along with you and reporting on them as well. 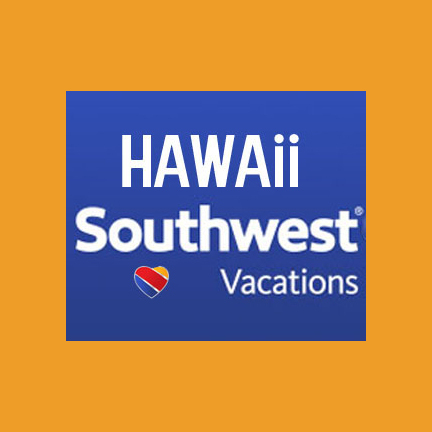 In addition to airlines, most Hawaii hotel chains will be participating on Cyber Monday and on Black Friday too. Outrigger Hotels has already announced announced early Cyber Monday deals that include up to 40% off. We expect to see discounts of 15-50% on a range of hotels and on Hawaii vacation rentals too! Be sure to stay tuned or subscribe to our updates if you want to catch these. Some deals may only last a few hours so it will definitely be for early birds on November 23 and November 26. In addition to Black Friday/Cyber Monday, we see the distinct possibility of more Hawaii fare sales starting in these next 10 days or so. This as a result of airlines being ready to fill seats on flights to Hawaii during the winter season between early January and mid-March, 2019. The airlines like to keep our minds focused on what they want to sell at this moment. So generally, we do not see many fare sales happening in the November to early December time frame. The airlines are trying to sell any remaining seats over the Christmas and New Year’s holidays before moving back to winter 2019 sales. We will be traveling from 3/23 to 3/30 next year and hope you can assist with target pricing and the best location to depart from. We plan to fly from Denver to any west coast location for our final flight to Honolulu. Can you offer any advice for west cost airports and the best time to buy? Expensive spring break dates. Problem is once you get to west coast there likely won’t be any deals from there either. If you went to San Diego that’s $300 RT and then you’ve got another $600 and issues around multiple tickets. So nothing great we can suggest other than paying up or changing dates/plans. Planning on visiting March 11-16th 2019, with my husband and our son. When should we book our flights from Kansas City to Honolulu. Right now prices are about 800 per person round trip. Hi, Im wondering if you think there will be any black friday/cyber monday deals for Hawaiian airlines departing Australia? Im looking at Brisbane to Honolulu departing around 9th May returning 20th May 2019. We honestly don’t follow deals from Australia, so can’t say. Would think so however. Aloha! Please help. My daughter is in college in Honolulu. I need to get her home to Atlanta around December 10th or 11th and she needs to return around January 10th. Right now it looks like I can get her home for around $680 Round trip. Do you think I can do any better if I wait until Black Friday or Cyber Monday? Looks to be about $730 RT on Nonstop for your dates. Not a bad price. Not sure it will improve by waiting. Multi-stops are $100 or so less and those might improve, although can’t say that with certainty. Suggest Nonstop. Our family is planning a trip for June 29 – July 7, 2019 from Los Angeles to Big Island (6/29-7/2) then to Oahu (7/2-7/7). Do you think there might be some Black Friday / Cyber Monday deals on our airfare? Love your site! We don’t expect this week’s sales to be for summer, but rather winter and spring. Keep in mind you are traveling during one of the most expensive weeks of the year. There is the possibility of some SWA effect after they announce. Target price for your dates is in $500’s at best. Please, when would you suggest booking for 4/17 returning 4/27. 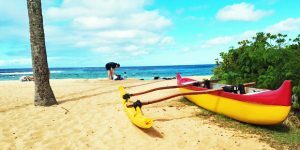 Philadelphia to Honolulu and back? Thanks so much. Perhaps about 90 days in advance. Target price in $600’s. Currently about $200 more than that. Aloha! I am loving your email updates- thanks for your hard work! We are looking at a mid-July 2019 trip from the West Coast to Honolulu. We will fly from Pittsburgh to the west coast separately. For that leg, I looked at cities like Long Beach, San Fran, and even Vegas then driving the 4 hours to Long Beach. Southwest releases their flights before purchasing? 2. Just doing some preliminary research for our dates, I found round trip from San Fran to Honolulu for my family of 4 on Hawaiian for around $2600… is this a good deal? They were the dates/times/nonstop that I wanted, but I am not sure if I should expect these prices to go down? 3. Any historic cheap flights from cities on the west coast that I should consider? Thank you. Even with Southwest coming, airlines generally will try to avoid intense competition during peak summer. Having said that there will be a benefit so probably best to wait another 60 days and see what happens. We’d set a target of somewhere in $500’s RT for July. Your pricing of $2600 seems a bit high. There are fares under $400 RT from Seattle in July, but Seattle is quite a ways away obviously. Moreover, next summer will be better than most, perhaps better than ever. We just won’t know until things start getting heated up. I’m currently looking at flights from Omaha to Kauai, Kauai to Maui and Maui home for the last week of Feb/first week of March. The price for the shortest flights is $807. Think I will get anything cheaper than that? Will there be any discounts on air, hotel car rental or activities april 18 – 16 range of days +-1-3 days? Thank you for always having great info! We will be buying tickets for Mid-July 2019 travel. Would you advise to wait for sales after black friday? Thank you! Sales for peak summer travel won’t be included. It looks like you’re flying from Seattle. So Hypothetically, from Seattle to Maui in mid-July there are airfares just under $400 RT with one stop or starting about $600 nonstop. Those are really good prices. Would suggest you considering buying. Not likely to see any further improvement on those. We are looking to fly from Denver to Honolulu in late January. Is it better to book a package deal or should we look at booking each segment separately. We will be flying from TN to Denver, our granddaughter will fly from KS to Denver, then we three to Hawaii. We are flexible on dates. Trying to compare all components is proving to be a nightmare. Any thoughts or suggestions are mst appreciated. Packages may not actually save you money over booking trip components separately. However you may find it more convenient. Also, when trying to put together a number of people traveling from multiple cities, but joining up for part of the routing, it might be useful to inquiring about engaging a travel agent. I have booked flights and hotel. I am looking for discounted rates on activities and luau’s. I heard the ones at the hotels are better. Are there any sales on those. We Are going at the end of march. Do you think some of these deals will include for the week of New Year’s Eve? I wasn’t planning on going originally and now I’d like to make it out to support a friend’s move. Im not looking for a luxury package. I’m not going for vacation- just to visit a friend. However the flight tickets are already very expensive. can you explain the difference between taking Hawaiian air economy from JFK vs. United economy from Newark to Honolulu? No you cannot expect lower fares than are now posted for peak of spring break. Would you please let me know of any deals going to the Big Island at Kona international airport from Chicago land area, Midway or O’Hare. We have scheduled our lodging but looking for good airfare in the month of April 2018. Starting at just under $800 RT on United or Alaska with a good connection. Might improve by $50 or so if you want for 2nd half of April only.